My Daily Spin – Lobster Hands! If you are old enough, you probably remember the old commercial for some hand lotion where the poor woman literally had lobster hands – that’s how rough her skin was. Well, that’s how I feel today. Yikes! Those fine silk fibers stick like crazy. 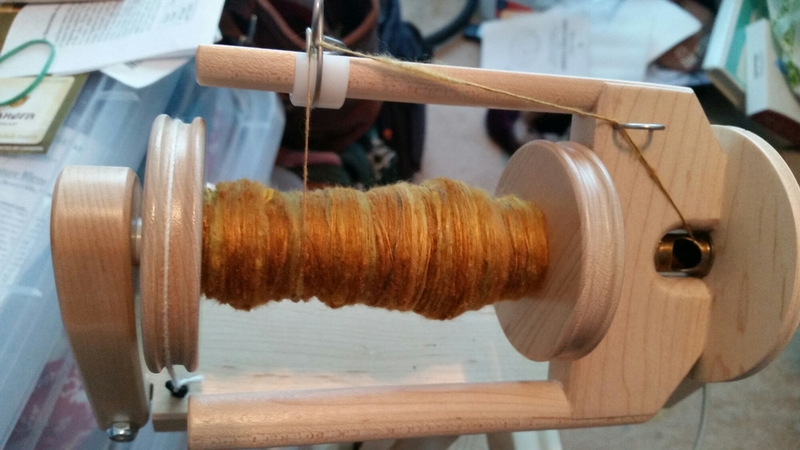 I spun the rest of the silk that I pre-drafted Friday night, and I’ll go do some more now to be ready for tomorrow night’s spinning. This entry was posted in Art, Fiber and tagged artist, Arts, creativity, Honesty, silk, Spinning. Bookmark the permalink.